They have difficulty getting ready for school in the morning? They get distracted if you give them more than one instruction at a time? They constantly lose things like school hats and notices? They can’t stop themselves lashing out when frustrated? They try to solve problems the same way every time, even though it doesn’t work. If any of these things sound familiar, then your child may have difficulties with executive functioning. The term ‘executive function’ is used to describe a group of skills that help us to regulate learning, emotions and behavior. These skills are commonly said to include organisation and planning, task initiation, response inhibition, working memory, emotional self-control, flexibility and focus, and are thought to be mainly under the control of the part of our brain called the frontal lobe which is involved in higher level thinking and processing. Many children with conditions such as Autism, ADHD and learning disorders have deficits in executive functioning, but deficits can also be present in the wider population. These difficulties can have a big impact on their ability to complete everyday tasks and manage at home, school and out in the community. If your child has impairments in one or more of these skills below, there will be many tasks they are expected to complete throughout their day that may prove difficult, leading to frustration in both themselves and the adults in their lives. The good news is that there are many things we can do to support children to manage their executive functioning challenges and improve their skills. To understand why executive functions are important, let us first consider how each of these functions help us in our daily lives, along with some suggestions about how you might be able to support them. We use these skills to think ahead to situations or events and know what items we might need to prepare or take with us, consider what we need to complete tasks effectively, and keep our belongings in an ordered way so they are easy to locate and use when needed. A child with difficulties in these areas may continually forget to put their reader in their bag for school, struggle to gather the materials needed to be ready for a spelling test, or have a bedroom that always looks like a hurricane has just been through it. Use labels or pictures of items to indicate where they belong (eg. Labels on drawers for clothes, toys or school items). Colour code materials for specific subjects at school. Make checklists for items to go into your child’s schoolbag each day. Use a visual schedule for the steps involved in getting dressed in the morning. Provide an example of what the final product or a task will look like to assist with planning and expectations (e.g. a completed poster in science, or a photo of the bedroom with everything in its proper place). We use this skill to understand how to begin or get started on a task such as writing an essay, cleaning up the toy room or getting dressed, and to physically engage in that task. A child with difficulties initiating tasks may still be standing staring at the toys on the floor 15 minutes after you asked them to pack up, or spend all of their literacy block staring at a blank page because they’re stuck on the first sentence of an essay. Use visual supports (e.g. pictures, timers) to indicate the start of a new task or transitions. Break down tasks into manageable pieces and teach the child how to do this themselves as they grow older. Provide examples of the first step in a task to assist a child to get started (e.g. ‘sentence starters’ for writing tasks, or picking up all the Lego first when tidying the play room. We use this skill to stop ourselves engaging in behavior that may be inappropriate or unexpected, even when our first impulse might be to do it. A child with difficulties in this area may repeatedly touch his sister’s computer even after being told not to on many occasions and being aware of the consequences, or start playing with his trains when he knows he has to get ready for school. 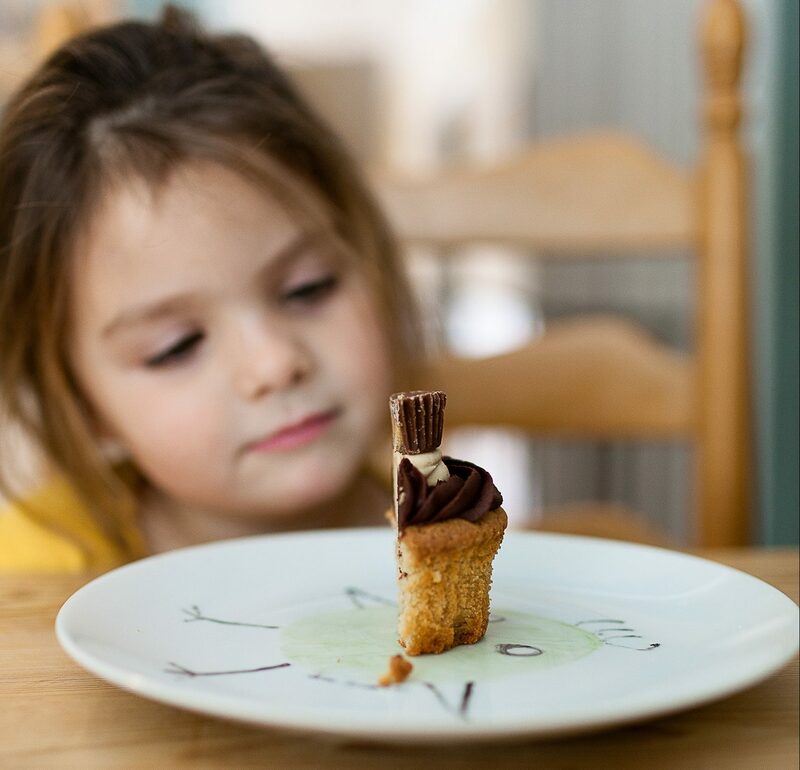 Teach self-control using games that involve turn-taking and waiting, or require some thought and strategy before taking a turn (e.g. jenga, UNO, kerplunk). Explicitly teach the child what you want them to do in specific situation and introduce rewards or incentives for acting appropriately. Teach sequences or routines for checking their own work for mistakes if they tend to try and complete work as fast as possible without considering their responses. We use this skill to take in information, hold it in our head for a short time, and manipulate it to produce a particular outcome or result. Children with difficulties in this area may get easily distracted when given multi-step instructions, completing the first or last part but forgetting the rest, or frequently lose track of what they are reading and have to read the same passage multiple times before they can move on. Use colour and pictures to aid memory. Use melody or rhythm to help remember information. Provide instructions both verbally and visually. Break down multi-step tasks or instructions into manageable pieces, and present each step separately. Provide visual checklists, task cards or reminders to assist the child to be independent. Do something interactive or reflective with new information to help lock it into long- term memory. Teach and encourage techniques such as mnemonics to help remember sequences of information (e.g. Never Eat Soggy Wheatbix for North East South West). We use this skill to regulate our emotional responses and behavior to ensure our emotions are not displayed in inappropriate or unexpected ways, and to stay in control when experiencing different emotions to allow us to continue task. Difficulties with emotional self-control are often displayed as reactions that seem excessive or out of proportion to an event such as screaming and throwing things when told they need to wait for a turn on the computer, becoming distressed and refusing to continue a task because a mistake has been made. Help the child understand different emotions by labelling them in themselves and others and highlighting the physical changes that occur when we experience emotions (e.g. heart beating fast when angry or anxious). Teach appropriate behaviours to engage in when experiencing strong emotions to assist with developing control and calming down (e.g. using break cards, using a tent in the classroom, introducing sensory activities that are calming). Support the use of cognitive strategies such as identifying size of different problems to assist with managing emotional reactions. Practice calming strategies such as deep breathing and visualisation when a child is calm, so they can readily use them when needed. We use this skill to engage in effective problem solving by considering alternative solutions and being open to change. When a child has difficulties with flexible thinking, they may, for example, continue to try and open the packaging of a new toy with brute force and become more and more upset and frustrated, instead of asking for help or considering using scissors to get it open. Encourage the child to predict what might happen next in books, tv episodes, or movies to help them consider different possibilities for choices characters might make, and discuss alternate actions and outcomes (e.g. what if Buzz and Woody had just given up when they were with Sid instead of trying to make a plan to get home to Andy? (Toy Story)). We use this skill to attend to important information in our environment and disregard distracting or irrelevant information to enable us to complete tasks or take in information effectively. A child with difficulties in this area may become quickly and easily distracted when they are supposed to engaging in a task, requiring constant adult prompting to concentrate and complete an activity, or be seemingly unable to keep themselves in their seat and concentrating on their work. Use timers to encourage self-monitoring of on-task behaviour (e.g. each time the timer goes off, check whether you are working or daydreaming). Provide fidget toys and other sensory aids to facilitate appropriate movement when needed. Allow regular movement breaks, especially during long periods of seated work. Allow the use of ear plugs or ear phones to block out distraction during ‘working’ times. Use checklists to break up tasks and give guidelines of the steps that need to be completed. With the right support and guidance, children with executive functioning difficulties can learn to manage and overcome these challenges, making a big difference to their learning and self-esteem, and helping them to be more independent and effective in their daily lives.